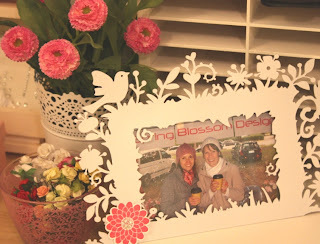 Spring Blossom Journey: YAY for more space to craft! I've been using a desk to craft on that my Dad built me when I was a little girl. I've got a huge sentimental attachment to this desk however it's only one meter long. 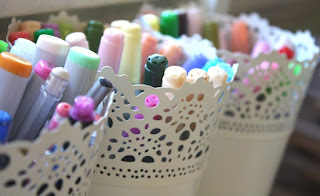 Perfect for a little girl doing homework... not so great for someone with crafty mess everywhere!! So I decided it was time for an upgrade. Anyway I bit the bullet and finally bought it!!! Since I'm here I might just give you a little tour of the rest of my space! 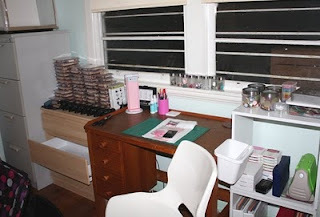 I share the spare room with my partner, he has his desk on the opposite side of the room to mine. 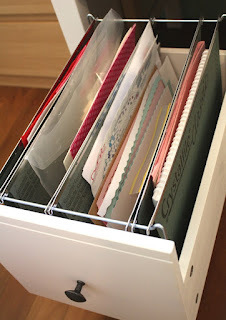 So firstly here is my ribbon storage and the draws I keep my 12x12 and A4 paper in. I made both of these and you can see my posts about them here and here if you're interested to read more. Blogged about that purchase here. 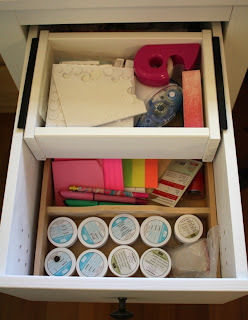 To the left of my desk I keep my inspiration board and all my embellishments. 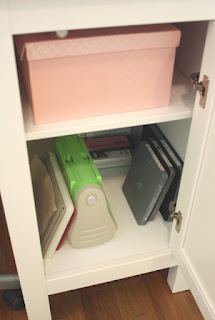 The rack I found just recently for 10 bucks and I've been meaning to paint it white but haven't got around to it yet. In the draws below I keep envelopes, punches and of course the bottom draw is the 'catch all'. On my desk I keep all my pens in these sweet little containers - if you didn't pick it up before in the shot of the full area you'll spot a little bin beside the desk that matches these containers. And of course there is a little spot on my desk for a picture of the most inspiring woman I know - my BFF! 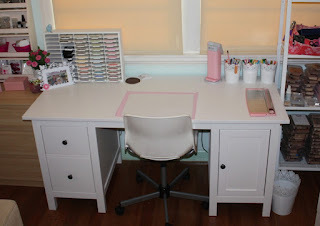 Personally I'm smitten with my new desk... however I might make one little change..... I think I might swap out the hardware for little pink coloured crystal ones! 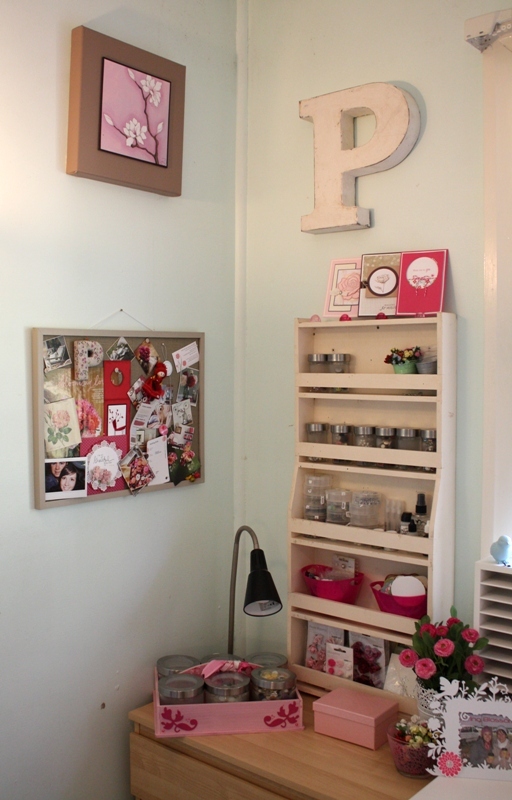 What a lovely space to work in Trish! You have done a lovely job with the decoration and coordination. You won't want to leave. Wow, it's beautiful! 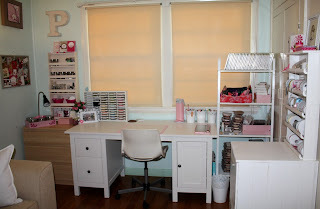 The desk, the room - everything! So fresh, and pretty, and girly. Loved having a little tour of your room today, Trish. 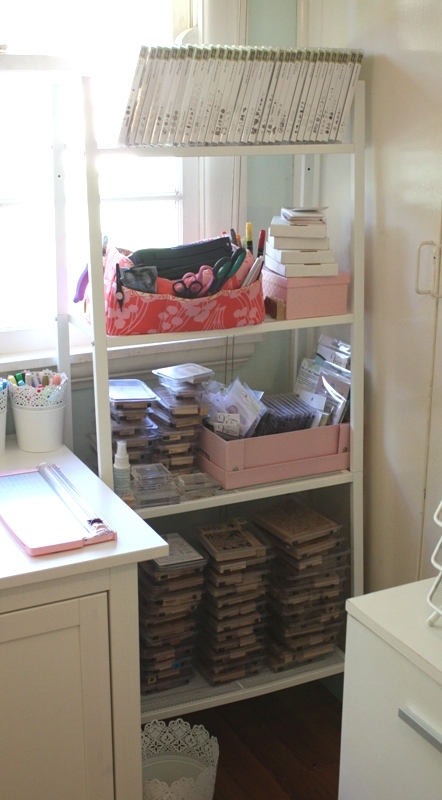 What a happy crafting space. Money well spent Trish, it looks lovely and practical, yet.. oh so girly and sweet. 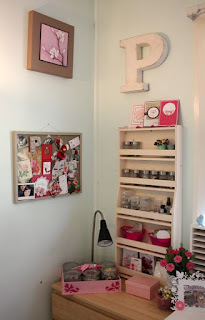 I could imagine you sitting there for hrs, enjoyed the tour of your craft space, TFS. Yay you got the desk! I thought it was a couple of weeks off yet. You've got your craft space looking fabulous. So happy for you!